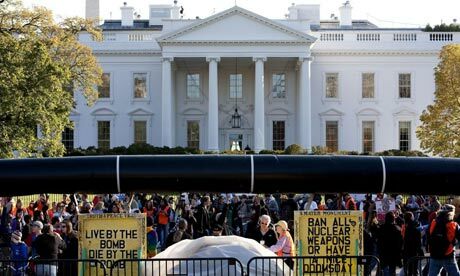 Keystone XL: "The pipeline that won't die"
The Keystone XL pipeline isn't going away. After President Obama announced a delay in a final decision on the tar-sands pipeline, there was a Republican shift to speed up that process. But now it's at the point where they are forcing an approval of the project. How do you ask? By attaching a pipeline approval to a bill that is very important to President Obama: Payroll tax breaks. Now, I like payroll tax breaks. They help business hire new workers because social security and Medicaid taxes are reduced. But they have nothing to do with tar sands, really. The House is basically using it as a bargaining tool, thus taking what he wants- and what the economy needs – hostage. The wind is now to the backs of TransCanada, builders of the pipeline, and they announced an extension to Houston. If you read this article in the Spokesman-Review, Montana just gave the company the permits it needs to build the pipeline in their state.